Mindfulness—focusing on the here-and-now, on what is going on all around you at this moment—is a fundamental element of meditation, including Zen. 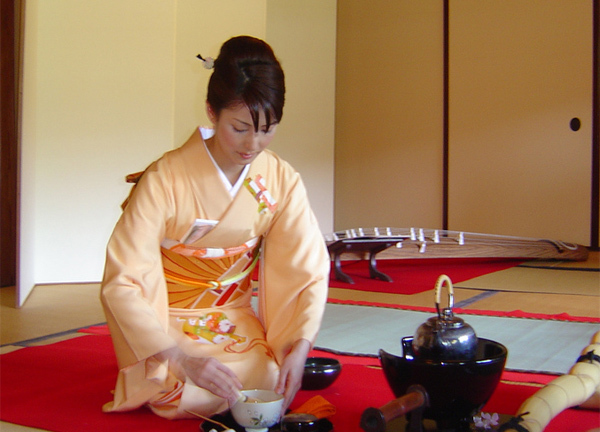 This state of mind is also key to the green tea ceremony and to happiness in general. In contrast to mindfulness is rumination—obsessing over the negative—and it's not conducive to mellowness. When you brew your green tea, do so mindfully. Watch the water boil. Listen to it boil. Take in the aroma of the dry leaves. Feel the warmth of your teapot or cup as the tea brews. Before sipping, breath in the luscious aroma. Sip, and focus on the flavor tingling in your mouth. Then feel the tea's warmness travel into your belly. There. Don't you feel better already? We can all create our own mindful ceremony whenever we drink green tea.